Engage your core. Yes! Even when you aren’t doing “core” work. This helps to keep you belly from dropping and your spine neutral (no arch in your lower back). Keep your gaze down and a couple inches in front of where your fingers are. 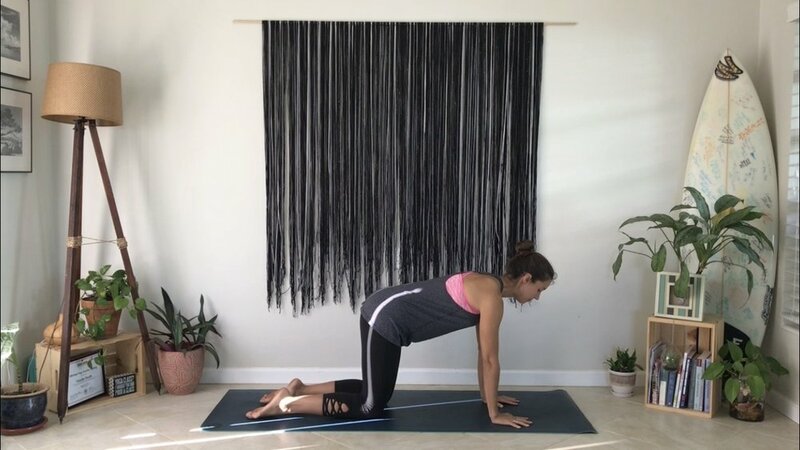 This helps keep your upper spine/neck in a neutral position. Sometimes we can spend a few minutes in table top (or some variation). 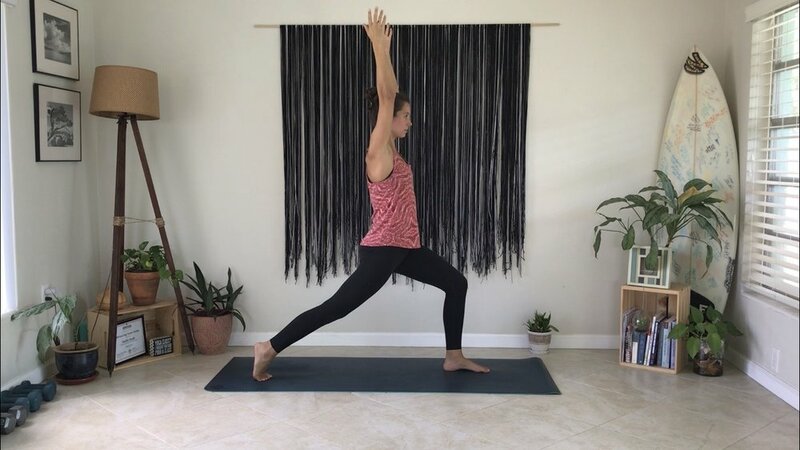 If you ever feel discomfort or pain in your knees (which can affect implementing the above tips), place a towel or fold your mat once under your knees.